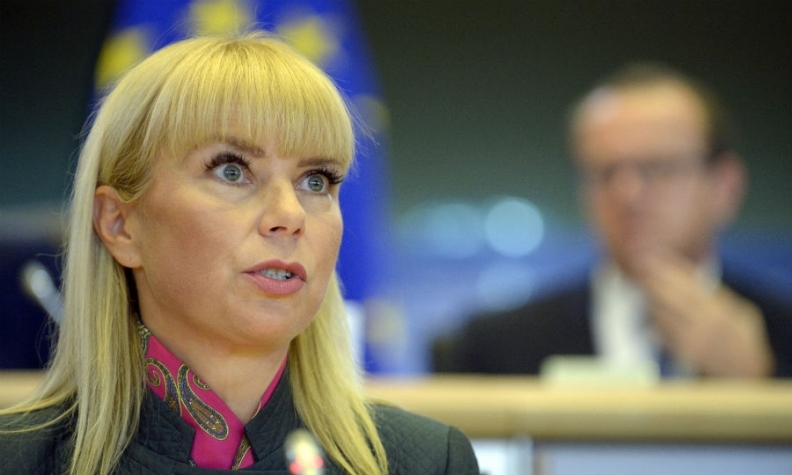 EU industry chief Bienkowska: "Treating consumers in Europe differently than U.S. consumers is no way to win back trust." BERLIN (Reuters) -- Volkswagen Group should offer European drivers similar compensation to what the German carmaker is expected to pay U.S. customers, Europe's Industry Commissioner Elzbieta Bienkowska told a newspaper on Sunday. "Volkswagen should voluntarily pay European car owners compensation that is comparable with that which they will pay U.S. consumers," Bienkowska told the Welt am Sonntag newspaper. Volkswagen is expected to agree next week to pay nearly $10.3 billion to settle claims by U.S. regulators stemming from its diesel emissions cheating scandal. The settlement includes offers to buy back nearly 500,000 polluting U.S. vehicles and pay an average compensation to owners of around $5,000. Bienkowska said it would be unfair of VW to treat European consumers differently just because of a different legal system. "Treating consumers in Europe differently than U.S. consumers is no way to win back trust," she said. In Europe, VW officials have said they will repair vehicles to remove illegal software, but have no plans to pay consumers compensation, arguing they have suffered no loss.